Sortation devices add accuracy, speed, and flexibility to manufacturing, assembly, and the distribution process. Ermanco produces numerous standard products and has the engineering capability to design and manufacture a system specifically geared to your plant or warehouse conditions. Ermanco conveyors utilize power from the main XenoROL conveyor line shaft, thus providing excellent value by minimizing the number of drives required. A diverter variation allows you to divert small, fragile products as well as heavy loads either continuously or selectively at through put rates that precisely meet your requirements. 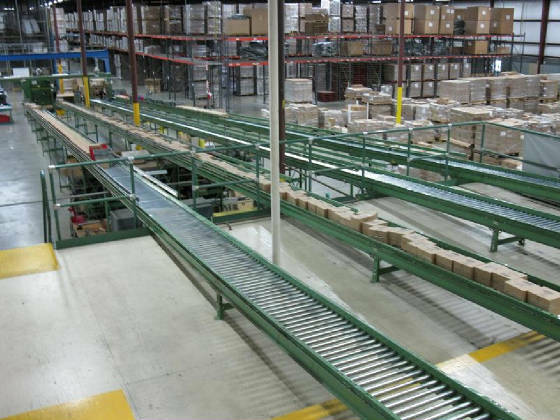 Automated Conveyor Systems will provide the Layout, Installation, Technical Support and Automation necessary to keep your operation efficient and running smoothly.